Umbrella Hostel is located in the heart of the city, in the most central residential area, Piata Amzei, which is also home to the French Embassy, Ion Creanga Theatre, The Museum of Romanian Literature and more. The feel of the area is set mostly by the Interbelic Architectural Buildings, taking you back into the magical times of the 1920s-1930s. The building is a beautiful 1920s House, professionally restored, with a lot of it’s artistic elements brought back to life, just as they were almost a century ago. While you’ll be relaxing traveling back in time, you will not be missing any of the elements which make for a modern Hostel experience. Bucharest Tips team has reviewd Umbrella Hostel - Hostels in Bucharest. You can get here description, reviews, address, map, phone, website of Umbrella Hostel in Bucharest. 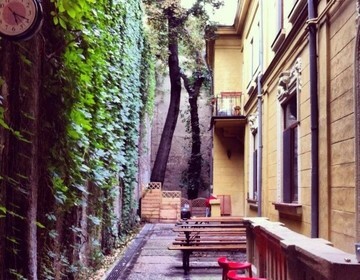 Visit Buchareset Tips for more Hostels in Bucharest!